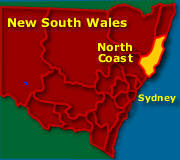 The North Coast of New South Wales has charm and beautiful scenery. The magnificent beaches, stunning National Parks and Reserves, and a lifestyle to match. Visitors can leave their cares and worries behind on the North Coast of NSW. 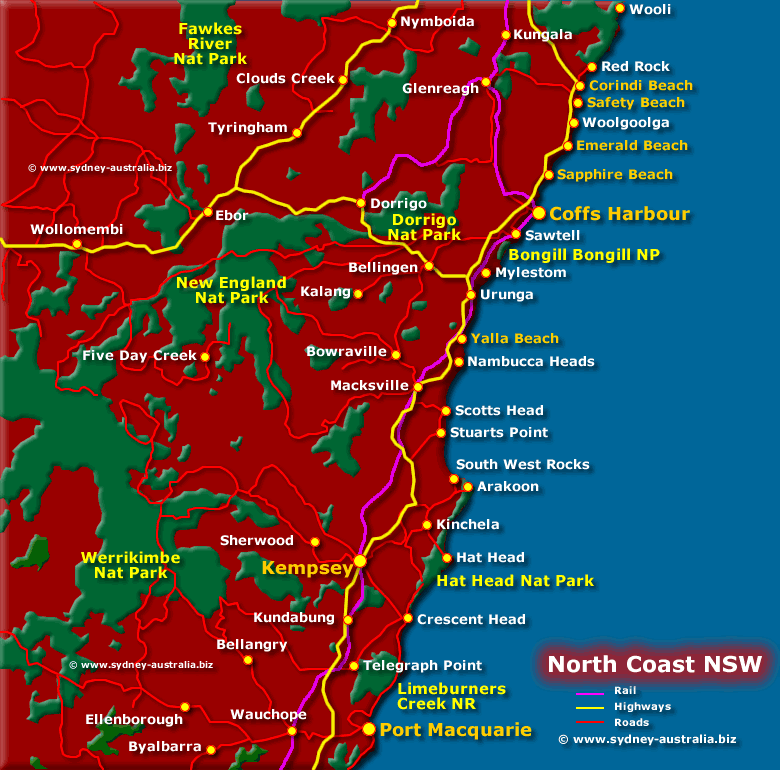 The map shows Port Macquarie, Coffs Harbour, Kempsey and the surrounding towns, beaches and National Parks and reserves. Also part of the Northern Rivers, from Grafton to Ballina and Lismore. The region has claims to the best weather in Australia.